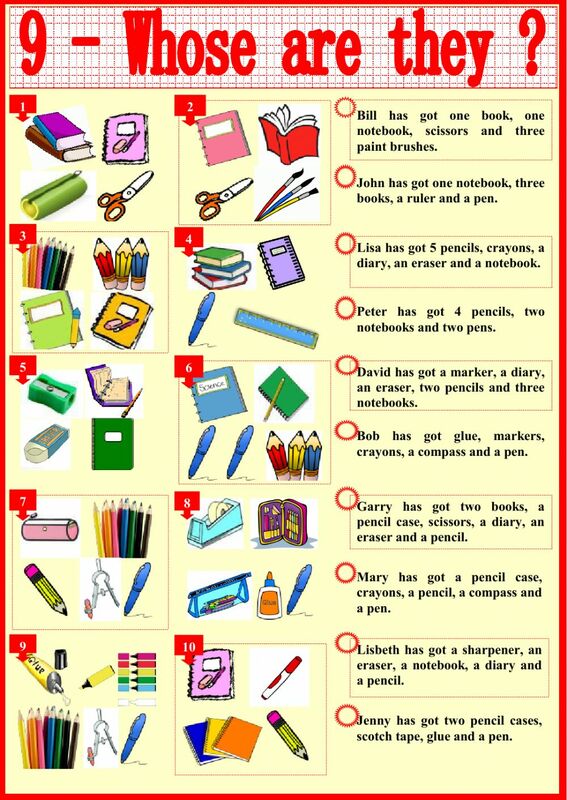 Live worksheets > English > English as a Second Language (ESL) > Classroom objects > Whose are they? Again pupils have to read and find out to whom the content of the school bag belongs. Copyright 10/22/2016 Monique Karagozian. Publication or redistribution of any part of this document is forbidden without authorization of the copyright owner. Not so easy but good! Thank you!